India’s oldest apex trade chamber ASSOCHAM has been unceasing in its efforts to promote Yoga. A recent paper authored by the ASSOCHAM Social Development Foundation revealed that India faces a shortage of over three lakh yoga instructors. This is just the latest step, in a long association that has seen some of the leading practitioners of Yoga including the renowned Baba Ramdev participating in ASSOCHAM activities. The chamber has long recognized the temporal and tangible benefits of Yoga and has gone out of its way to encourage Yoga as a panacea to the problems of modern society. 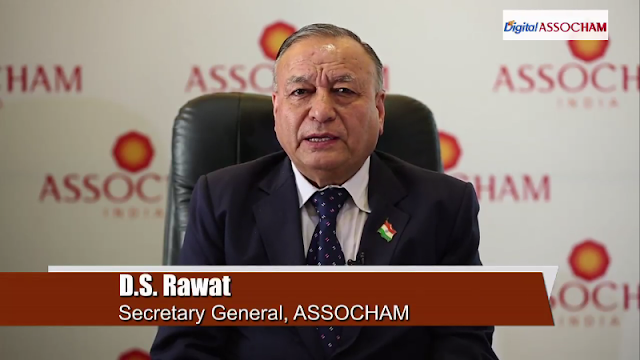 ASSOCHAM Events have routinely brought Yoga to the world’s attention, as a path to self-realization and truth. The chamber has been unequivocal in its advocacy of Yoga and Yogic practices for the realization of personal, social, economic, political and spiritual benefits.